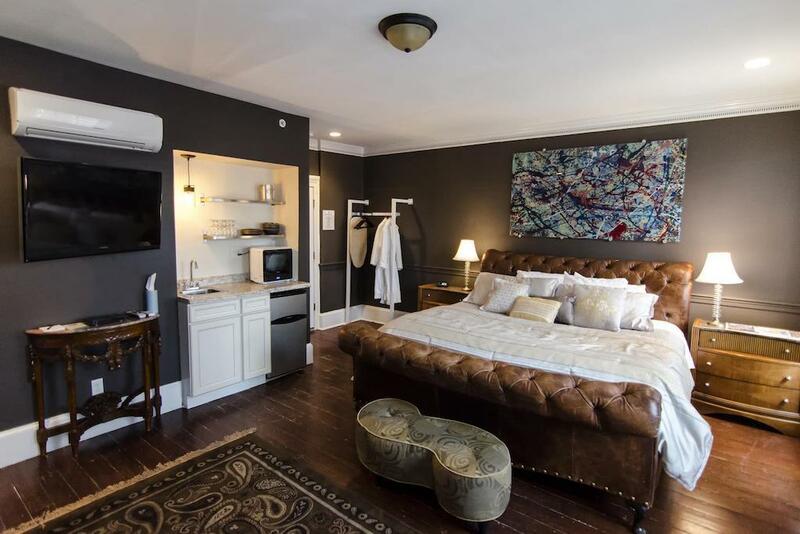 Philadelphia is home to a ton of excellent lodging options, but the boutique hotels on this list go above and beyond your typical hotel experience. Think ultra-luxe and trendy decor, impeccable service and a cozy home base from which to explore all the best things to do in Philadelphia: the top attractions, excellent bars and restaurants, plus several must-see museums. 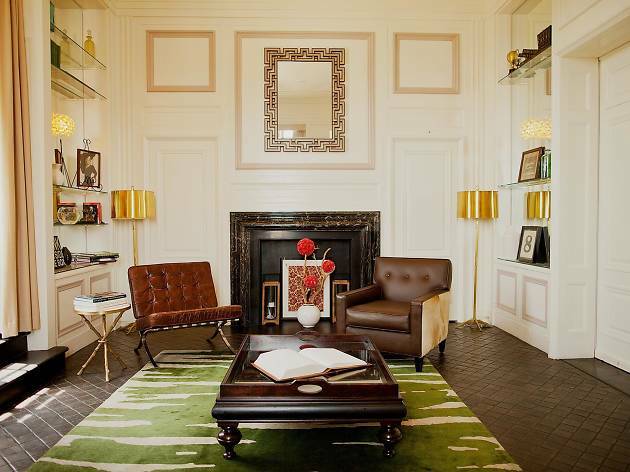 After you check into one of our pick of the best boutique hotels in Philadelphia, the city is yours for the exploring. In the mid-1860s, this Old City building served as a cap-making shop. 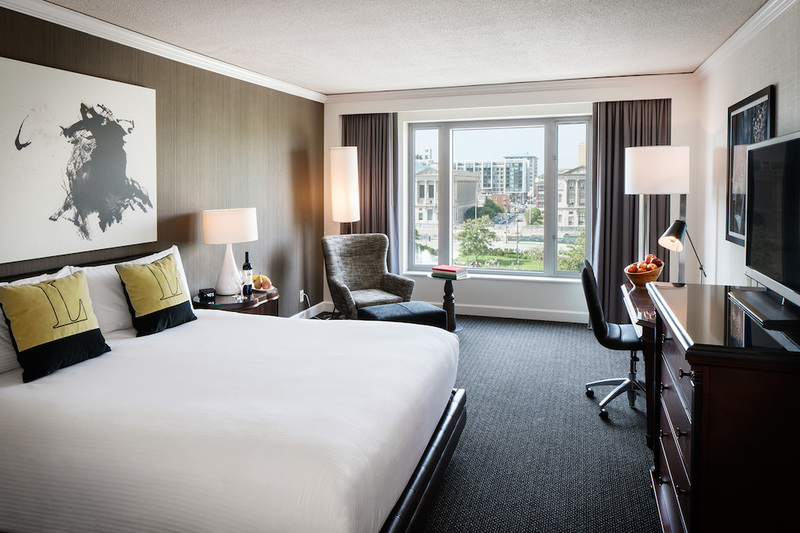 But today it’s one of the city’s premier boutique hotels, boasting six stunning rooms and “invisible service” amenities. What does that mean, you ask? Check-in and out is all app-based and an in-room tablet and city guide offer enough support and suggestions for things to do in Philadelphia. 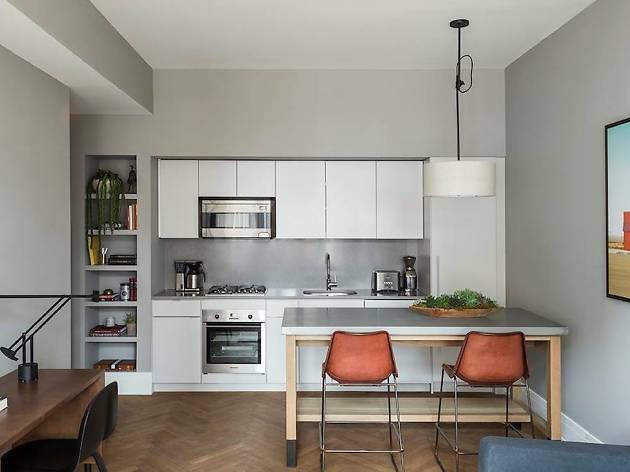 As for the rooms’ design: Jersey Ice Cream Co.’s modern-meets-industrial decor—characterized by rich pops of color in kitchen accoutrements and the furniture—offers just as much eye candy as it does sleek functionality. 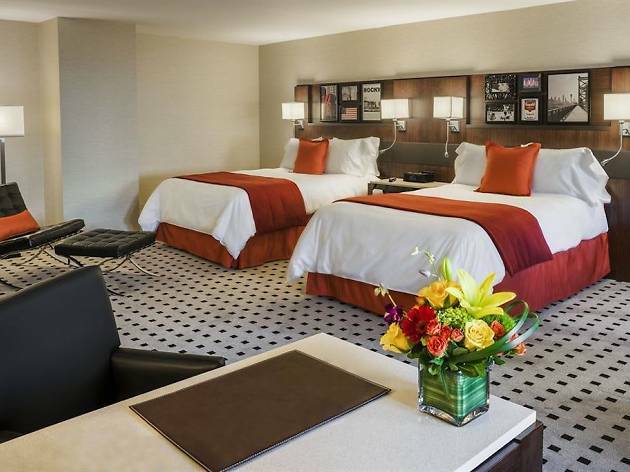 Rooms feature laundry, seating areas, full kitchens and more. 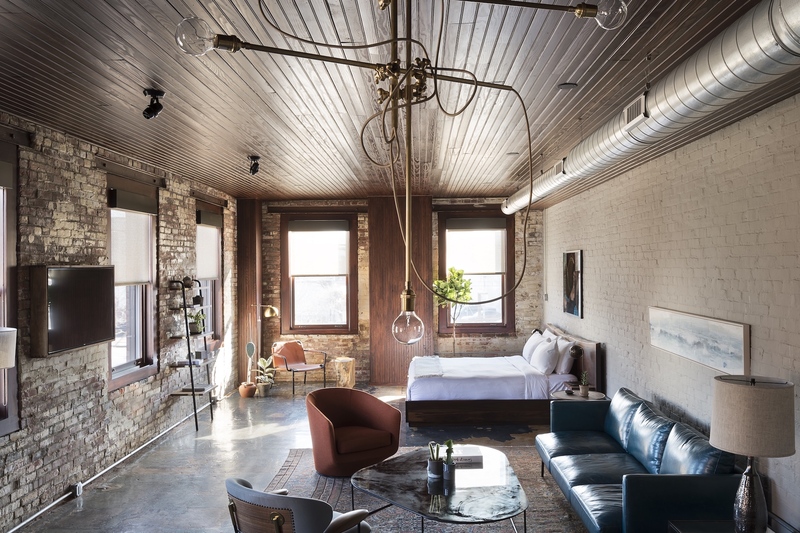 Located above a wood-fired Italian restaurant of the same name, guests can book a stay in one of four refurbished suites, each with nods to the building’s 100-year-old history as a whiskey blending and bottling facility. 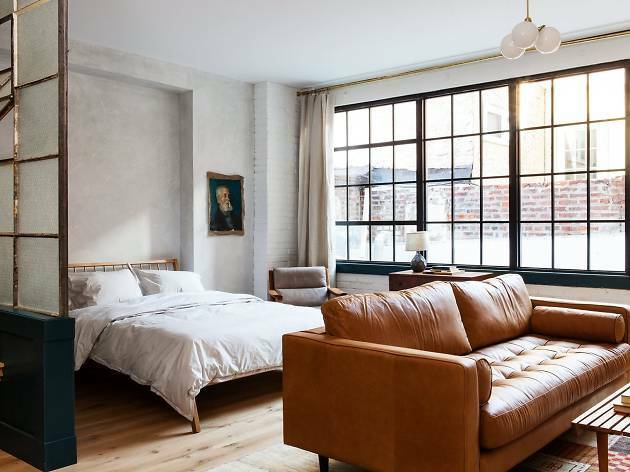 Concrete floors have been polished and exposed brick nicely juxtaposes quirky wallpaper and wooden bed frames. 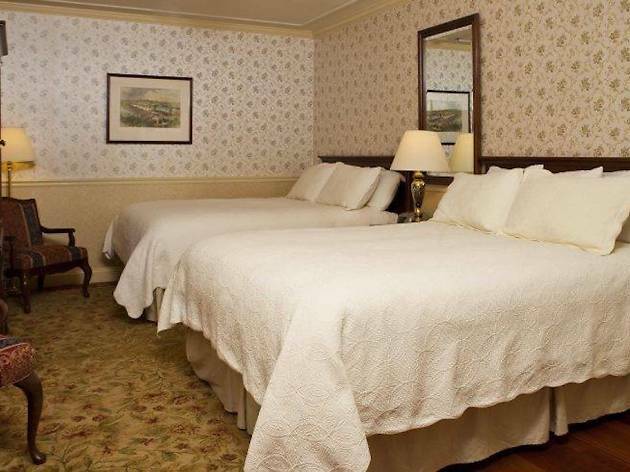 Each room comes equipped with a full-sized kitchen, laundry and Apple TV. 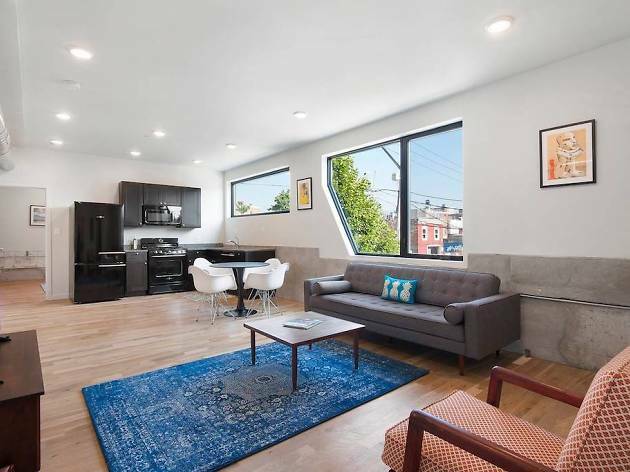 With a location right in the heart of Fishtown, you’ll never be more than a few feet away from great bars, some of the best coffee shops Philadelphia has to offer and top-notch eats. 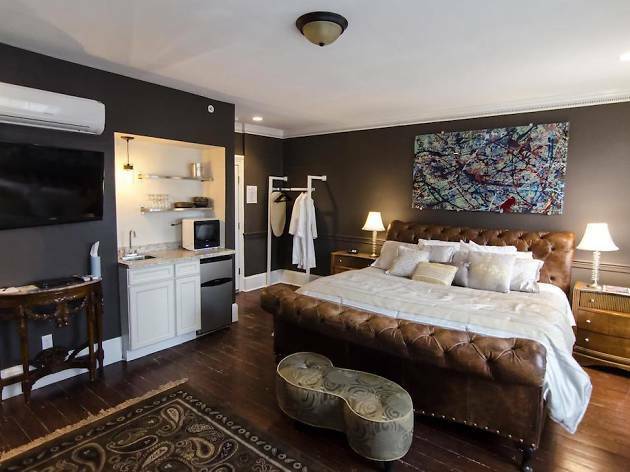 Though smaller than many others on the list, this eight-room spot includes two extended-stay apartments with kitchenettes and full baths, making it ideal for those enjoying longer visits. 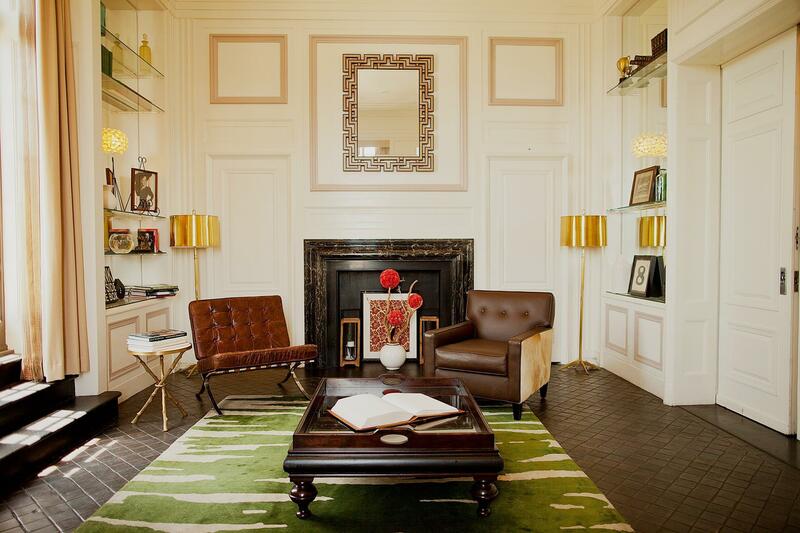 The Dwight D. has been in operation since its complete remodel in 2014 and prides itself on its history: The compact 1840s brownstone that houses it was the former home to the Eisenhower Fellowships organization. But don’t be fooled by its quaint size. The Dwight D. offers many of the amenities of larger hotels, such as 24-hour parking and use of bicycles through a bike-share program. 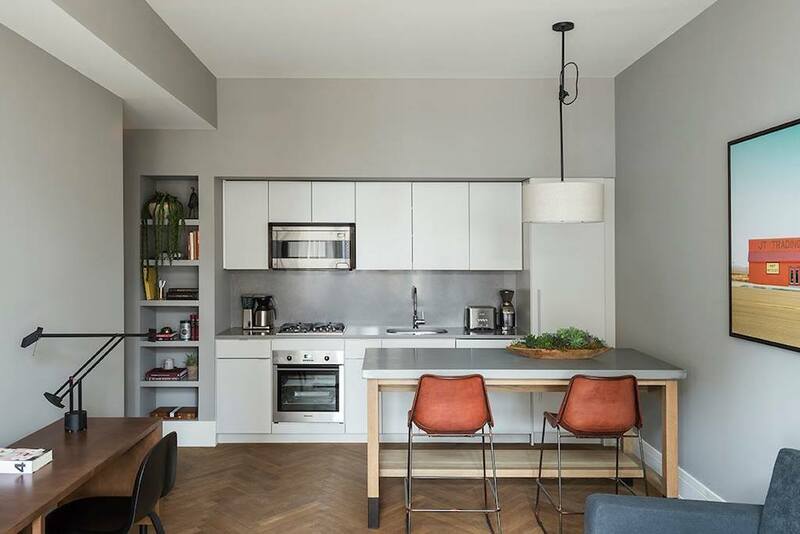 These stylish, modern apartments feature fully equipped kitchens, laundry, walk-in rainfall showers, oak herringbone flooring, vintage Moroccan floor rugs and antique furniture. 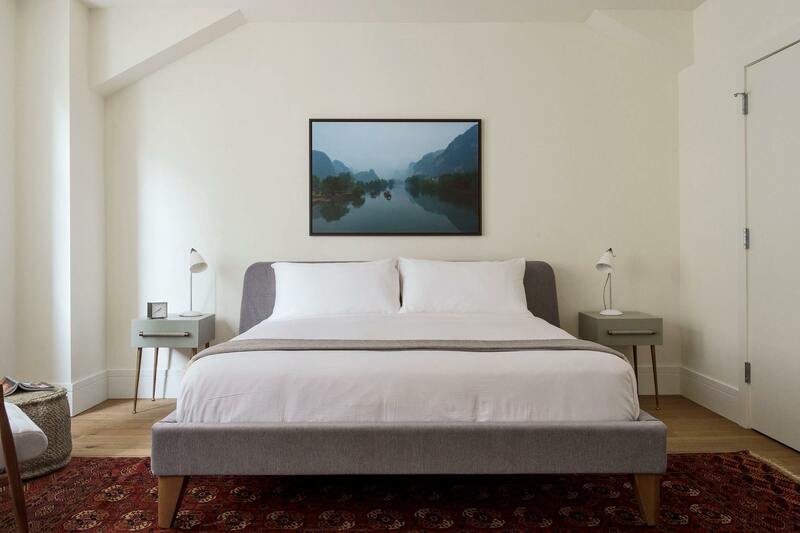 It’s the kind of curated, Instagram-worthly life we could only dream of. 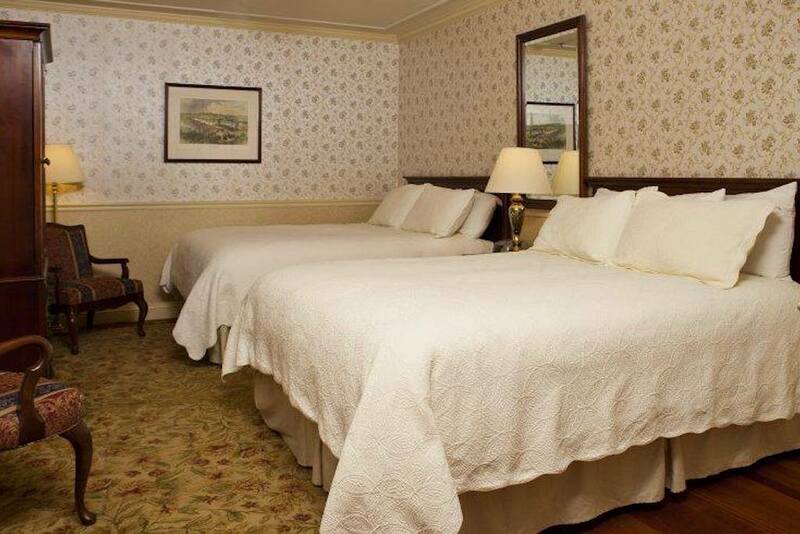 Suites are available in weekly or monthly stays and pets are welcome. 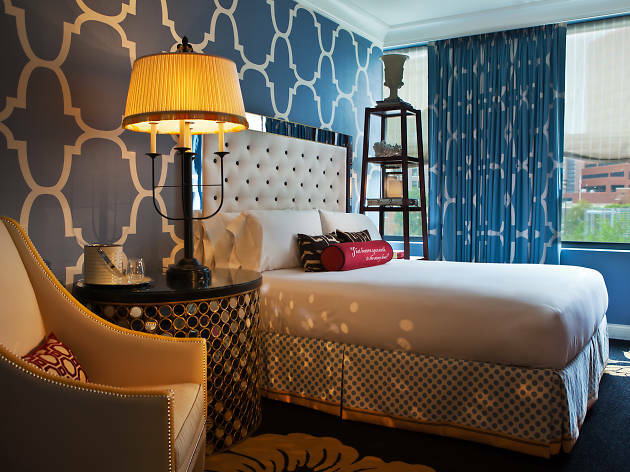 This is a more large-scale affair than most of the boutique hotels on this list (there are 268 guest rooms here), but everything about Hotel Monaco is unique, eclectic and colorful. 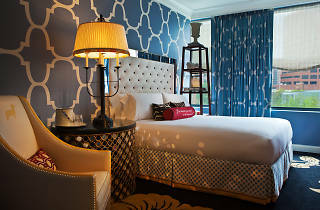 The guest rooms and specialty suites feature deep blue and purple hues with funky geometric wallpaper designs. and mirrored end tables offer a chic retro feel. 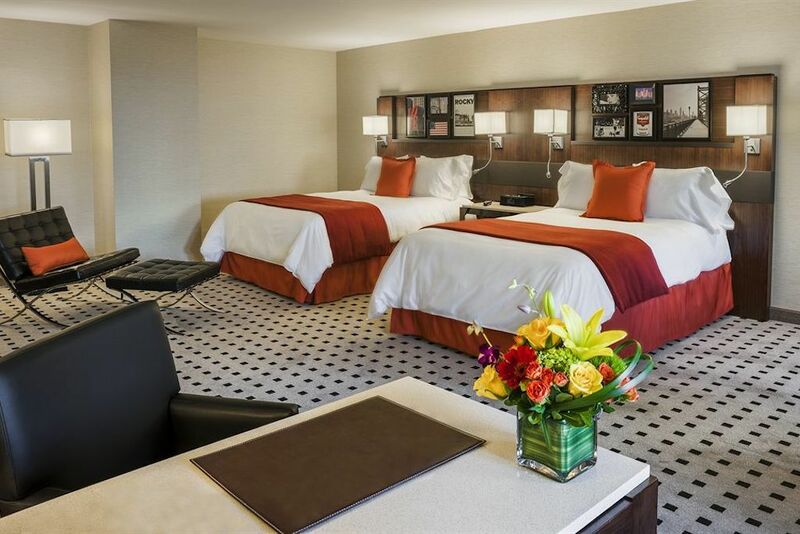 The hotel also has a fitness center, complimentary bike rental and is pet-friendly. Make sure to take a trip up to the Stratus Rooftop Lounge—one of the best rooftop bars Philadelphia has to offer—to relax after sunset with an aperitif under the twinkling night sky. 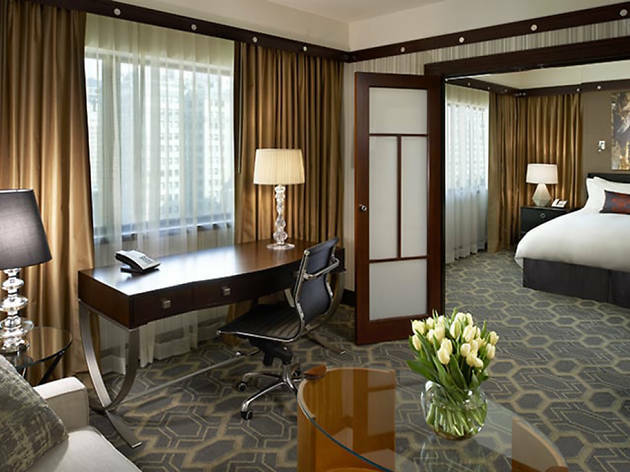 Located in an Art Deco-style building in the midst of Rittenhouse Square, this trendy hotel offers guests a sleek and chic hotel experience. 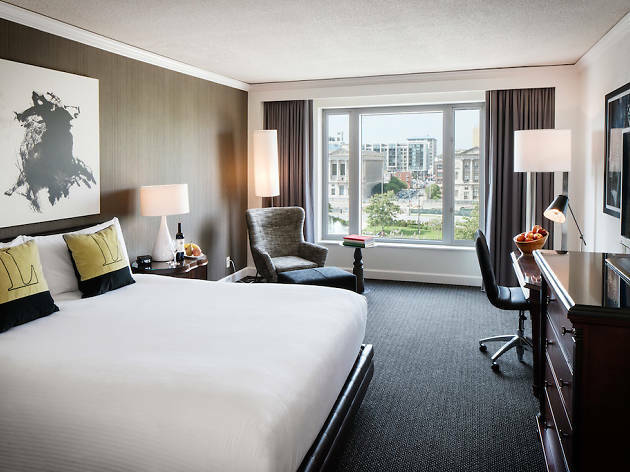 Each guestroom and specialty suite features huge windows and tons of natural light—many rooms have exceptional city views, too. Unwind in the fitness center, with in-room spa treatments or at the on-site restaurant Square 1682. 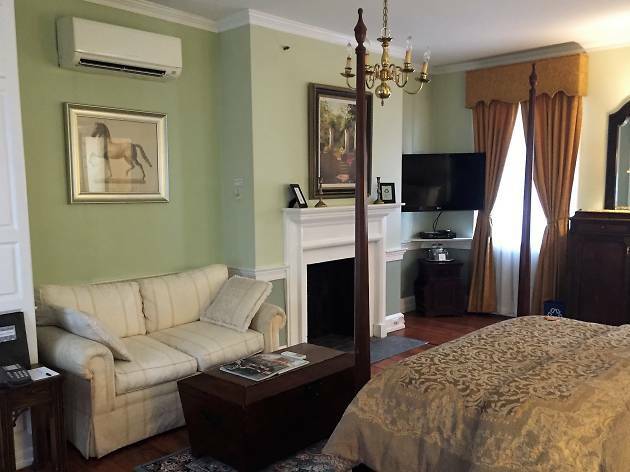 Planning a long-term stay in Philadelphia? 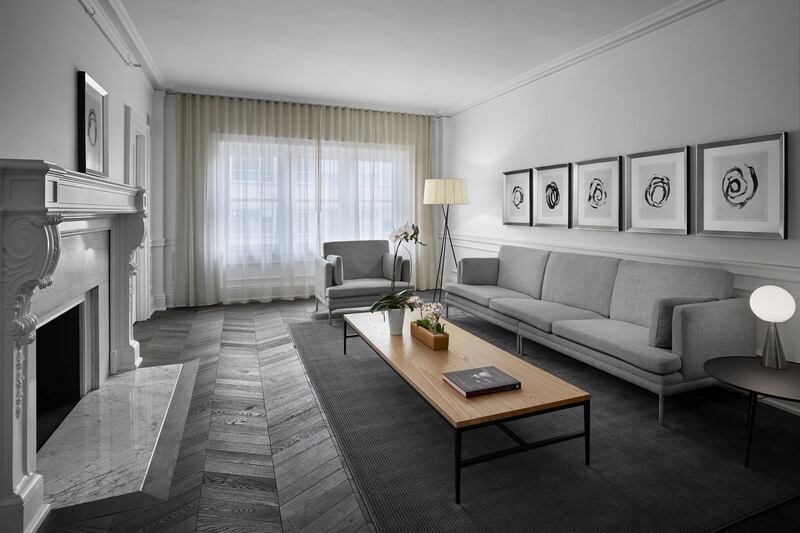 Consider crashing at the sophisticated AKA Rittenhouse stands, which stands 12 stories tall and boasts 78 studio and one- and two-bedroom suites that are equipped with full kitchens. 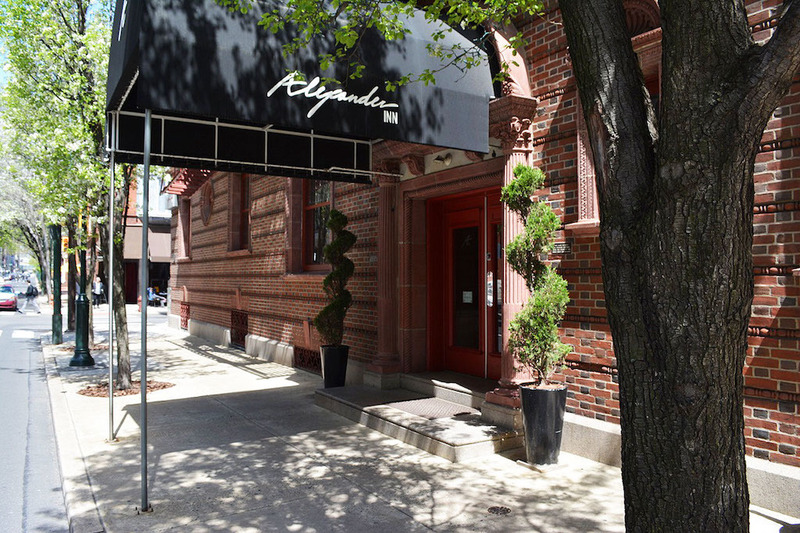 The elegance of the building’s beaux-arts facade extends indoors with sleek and modern furniture and appliances. 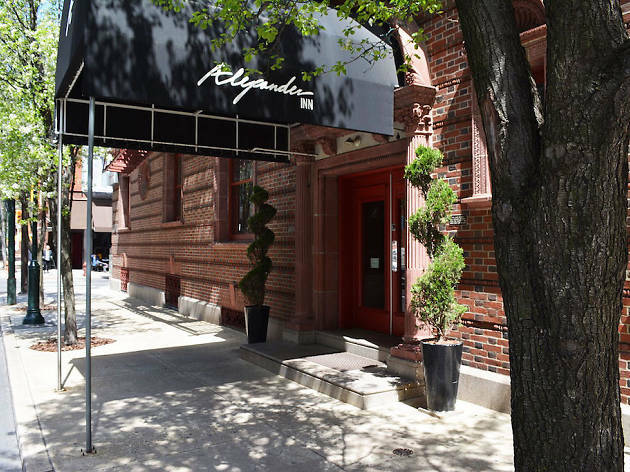 Other perks include a gym, a business center with Macs and a private resident entrance to on-site restaurant a.kitchen and its accompanying a.bar. 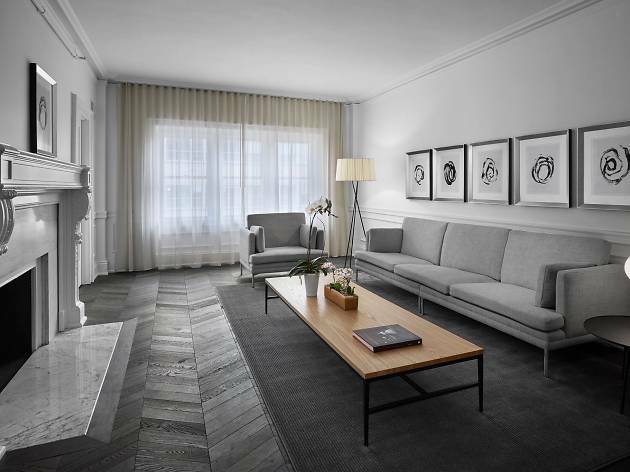 The location also puts you just around the corner from Rittenhouse Row, one of Philly’s top shopping destinations with high-end stores like Michael Kors, Barneys Co-Op and Vince. 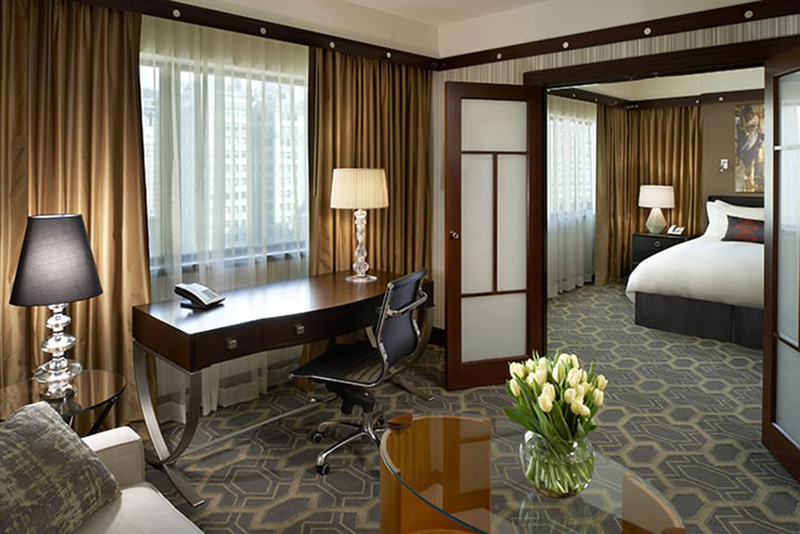 Located around the corner from picturesque Rittenhouse Square, the Sofitel proves that luxury can still be affordable. 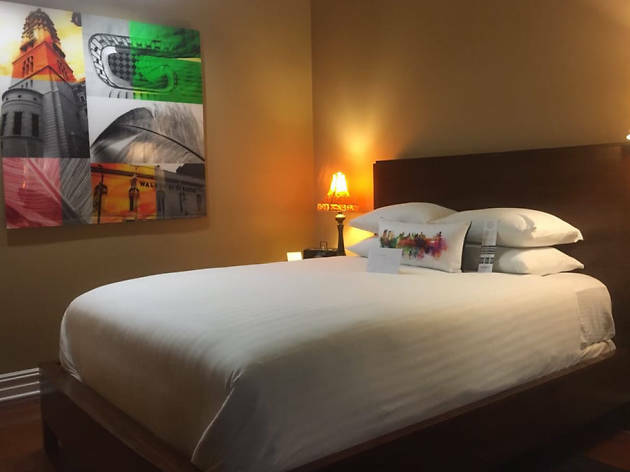 The lobby of this 306-room hotel is home to a carefully curated art gallery and is accented with local flair, such as colorful Shaker quilts and stone floors. Enjoy unique cocktails and a French-inspired meal at Liberte Lounge or revel in the atmosphere of the newly renovated Chez Collette. Pamper yourself with the hotel’s indulgent lotions and soaps before a night out on the town and lose yourself in the superior featherbed and duvet sleep system when you return. Rittenhouse 1715 prides itself on its “Five Heart Service,” which creates an ideal environment and spirit of giving and caretaking. So expect to experience unmatched serenity and peace while staying here. 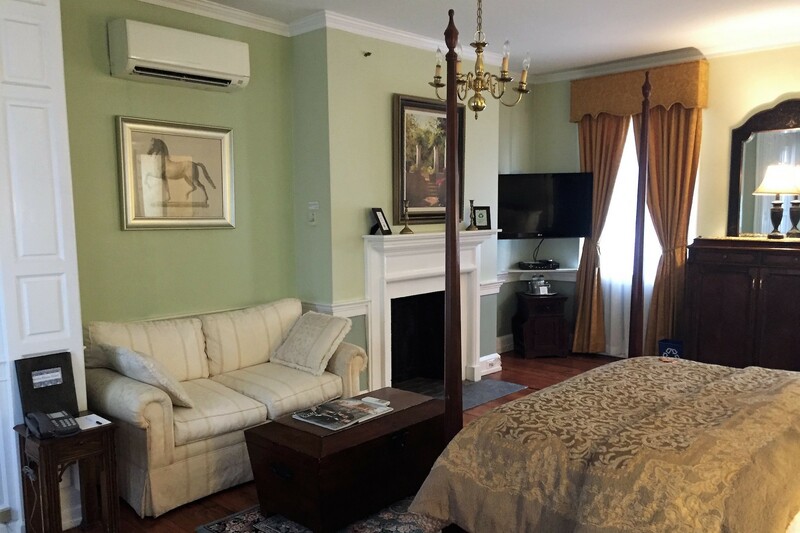 Located in a charming building erected in 1903 and subsequently renovated in 2007, this 23-room boutique hotel includes a grand, two-story Presidential Suite with a spiral staircase leading up to the loft bedroom. Be sure to sample one of the freshly squeezed juices from the bar and enjoy a wine reception each evening. This National Historic Landmark was constructed in 1787 and retains its post-Revolutionary charm. Even with an ornate library, breakfast area and romantic courtyard, the greatest treat here is feeling like you’re stepping into history. 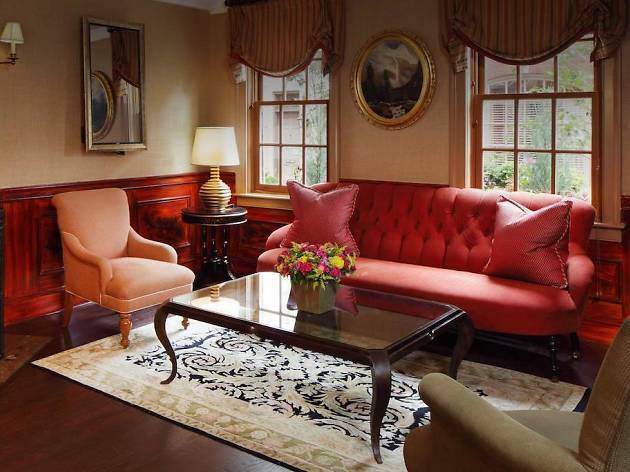 Each of the 15 rooms vary style-wise between a more-updated feel and historical decor. All guests are treated to a continental breakfast, afternoon tea and cookies and a complimentary glass of wine in the evenings. Located near all the marvels of Historic Old City, you’ll truly get the historic experience. 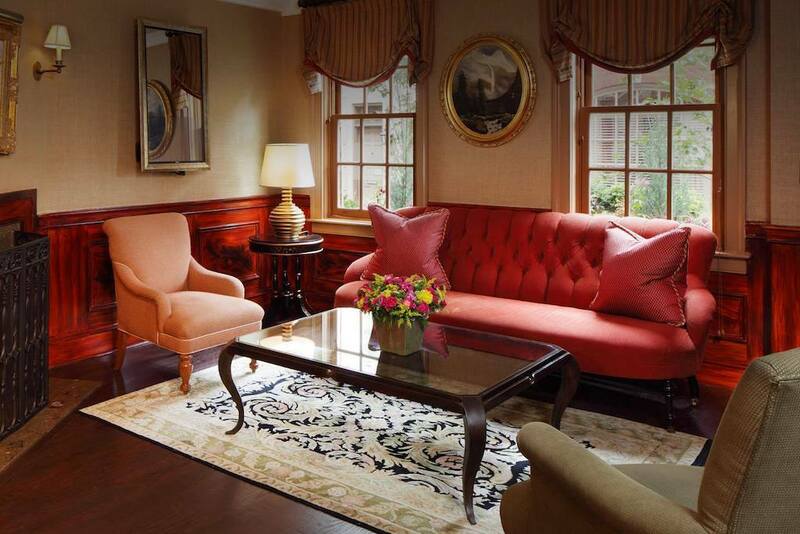 Pairing modernity with classic architecture, the Warwick Hotel epitomizes the Rittenhouse vibe. Each of the 301 rooms feature a pop of color and personality with a Philly-themed headboard and refrigerator. If you want continued comfort without leaving the confines of the building, schedule an in-room spa service or head over to the hotel’s hair salon. If you do decide to leave, there is ample nearby shopping and dining. Bring your pup, too. The hotel is pet-friendly. Part of Philadelphia’s charm rests in its varied and interesting neighborhoods and the Independent Hotel showcases just that. 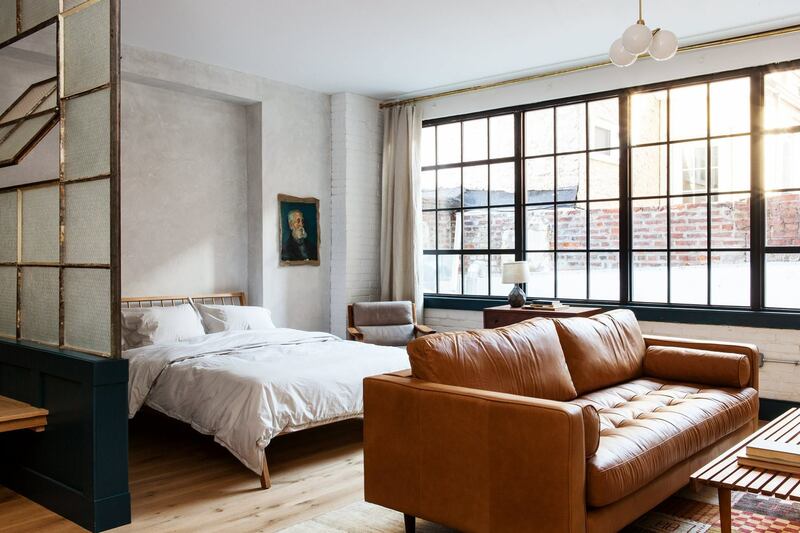 Ideal because of its Midtown Village location, the Independent boasts hardwood floors, exposed brick walls, in-room fireplaces and New Zealand wool rugs. 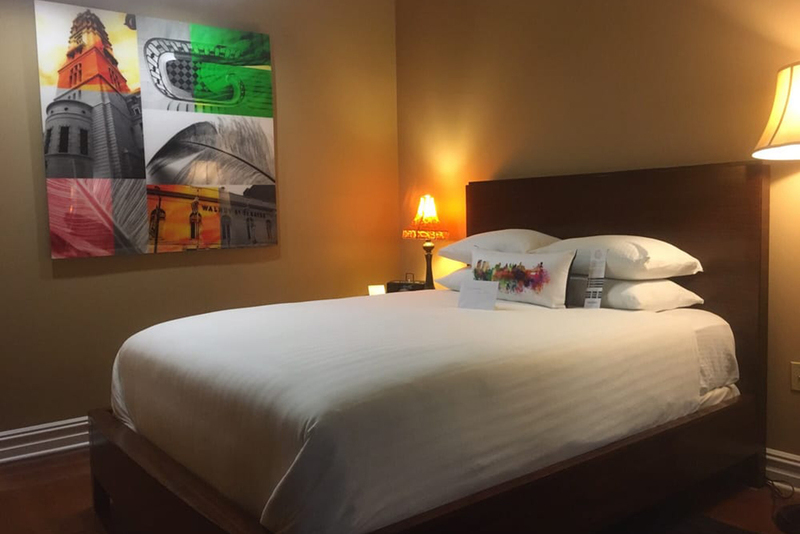 Colorful artwork and soft, cozy lighting enhance each of the 24 rooms. Choose a spacious King Deluxe with dark wood furniture or a Double Queen Deluxe with an original tin ceiling. 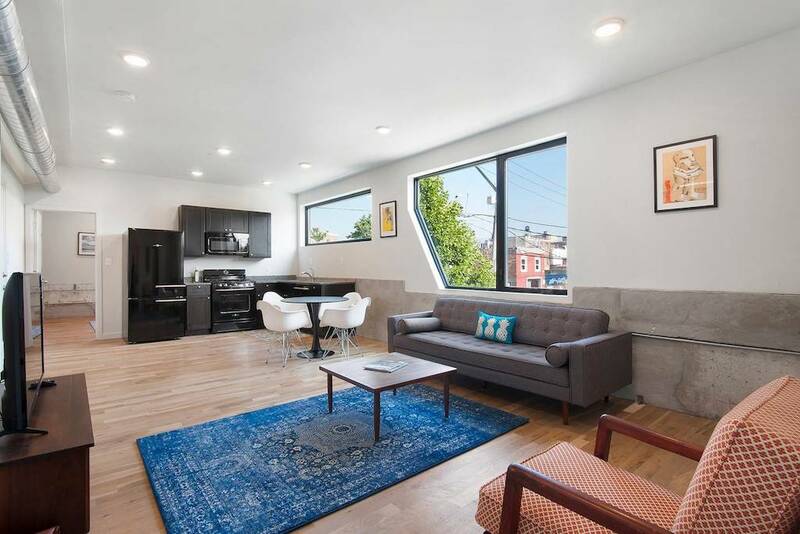 Or opt to bring along a bunch of friends and stay in the two-story loft suite, complete with a Murphy bed for extra sleep space and one-and-a-half bathrooms. Thanks to the Delaware River Waterfront Corporation’s exciting riverfront developments, guests to the Penn’s View Hotel will have no choice but to check out the attractions like summertime pop-up park, Spruce Street Harbor Park and Penn’s Landing’s skating rinks at Summerfest and Winterfest. 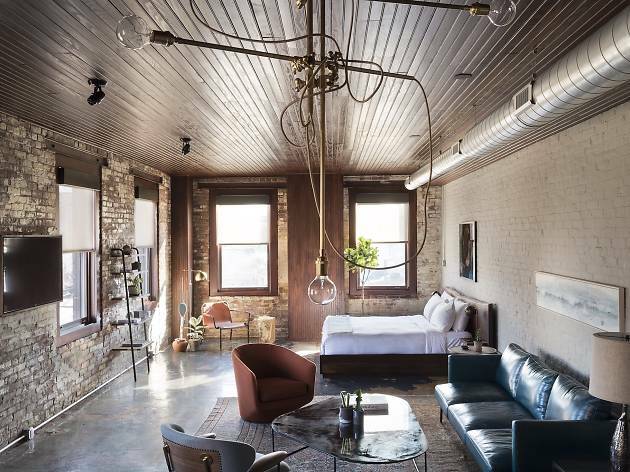 The European decor, exposed brick, balconies, wine cellar and dark-wood furnishings harken to an old-world appeal while complimentary wifi and on-site restaurant Panorama bring the vibes into contemporary times. Other Historic Old City attractions, including the new Museum of the American Revolution, are within walking distance. 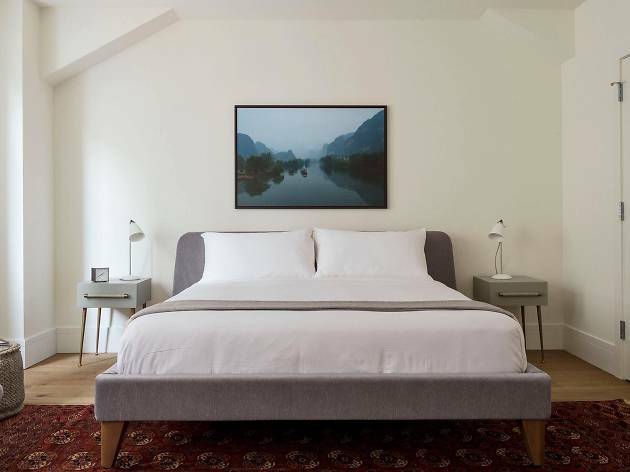 Looking for an even more personal stay?